Crafted with options reserved for finer vehicles, Pontiac sets a higher standard. 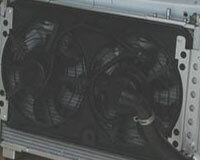 We offer OEM parts and accessories recommended by the manufacturer to keep your vehicle in prime running condition. Our dedicated service agents can guide you through each step of our easy ordering process. Pontiac has a rich American history with innovation and engineering excellence woven into all Pontiac vehicles. 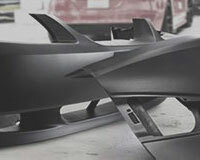 You'll get incredible online discounts on Pontiac parts that will fit your automotive needs. 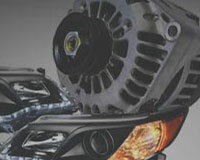 We are your prime online source for savings on genuine Pontiac auto parts. Replacing parts when it's necessary is something you can do to extend your Pontiac vehicle's lifespan and give yourself some much-needed peace of mind. 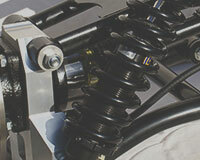 GM Parts Prime offers a fast, and hassle-free purchasing experience. 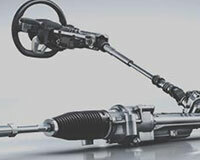 Our expedited shipping can get you the parts you need delivered quickly. Home to many of the automaker's more performance-oriented vehicles, Pontiac was owned by the famous multinational American manufacturer General Motors (GM) as its performance division. Marketed as a performance brand, Pontiac was once introduced as a companion makes for GM's more expensive line of Oakland automobiles. Advertised as the performance brand, Pontiac offers a broad range of sporty cars and SUVs. Deriving from the Pontiac Buggy Company in Pontiac, Michigan and the Oakland Motor Car Company founded by Edward M. Murphy in 1892 and 1907, Pontiac became a part of General Motors in 1926. But due to the late 2000s financial problems encountered and restructuring efforts made by General Motors, General Motors decided to discontinue manufacturing and marketing vehicles under Pontiac brand by the end of 2010. However, until today, it is still one of the makes in the industry that is still fondly remembered. Though introduced as a companion marque of General Motors' Oakland and less expensive line of cars to compete with lower-priced Ford Model T, Pontiac still made its own way of development. As soon as its first model was introduced in 1926, it soon outsold its parent Oakland within several months and became the top-selling six in the United States, ranking seventh in sales amount. Even until the mid-1950s, Pontiac was still known for providing reliable, quiet and comfortable cars, and other divisions in GM focus on power match in the automobile industry. Though under such circumstance without any support from GM for developing muscle cars, Pontiac grasped the opportunity and was the first automobile manufacturer to produce the muscle car GTO in 1964, which sped up the coming of muscle car power race. During this period, Pontiac adopted the powerful V8 engine to replace the moderately powered straight six-cylinder engine as well as an overhead-cam six called the Tempest and used the first plastic grille on several models. When the gas crisis of 1974 hit, Pontiac adjusted its focus and switch to six-cylinder engines and smaller cars, which made it take a place at the non-prosperous automobile market as again it had a reputation for offering fuel-efficient and performance vehicles. For car buyers during that time, fuel efficiency always came first. And the Solstice sports car was the first volume use of the hydroformed-steel body panels. As a years-old famous brand, Pontiac not only makes many classic and popular models, in return, these models help it built an image of reliability, performance, powerfulness and value. The Fiero, as a mid-engine sports car built from 1983 to 1988, is a typical performance-oriented car as well as the first two-seater Pontiac and first and only mass-produced mid-engine sports car by a U.S. manufacturer. It was on Car and Driver Magazine's Ten Best List for 1984 and was the Official Pace Car of the Indianapolis 500 for 1984. Pontiac's popular models definitely include pony cars and muscle cars as it always stands at the forefront of these two vehicle types. Firebird produced from 1967 to 2002 across four generations was introduced to compete against the Ford Mustang as a pony car. G8 as a rear-wheel-drive sedan was not produced by Pontiac but sold under the brand from 2008 to 2009. Special trim levels as G8 GT and G8 GXP were also very popular. Grand Am experienced three separate 3-year runs as a mid-size and compact car. It was Pontiac's best-selling model until replaced by the G6. The Grand Prix introduced as a personal luxury car, mid-size car and full-size car was positioned below the larger Bonneville, and it witnessed a big sales success and helped defined the burgeoning muscle car segment as a performance-oriented model. Other models such as GTO, Solstice, Phoenix and so on also received a public popularity. For a defunct brand, the best way to sustain its value always depends on the OEM Pontiac parts as they could fit it perfectly to prevent extra damages caused by unfit and they could restore its performance to the fullest extent. 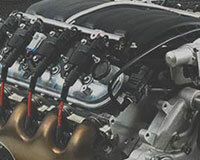 If you lead an economic life, then you will be interested in the broad selection of lowest-priced genuine Pontiac parts backed by the manufacturer's warranty from GmPartsPrime.com. In order to create the most satisfying shopping environment, all OEM Oldsmobile parts are also favored by hassle-free return policy and quickest delivery service. Thus, shop with confidence!